As recently as the 1980s, it was normal for a car’s engine to require a complete rebuild every year or two. Clunks and rattles were a part of everyday driving, as well as leaks from anything that held fluid. It was more affordable to replace a vehicle after just three to five years than to keep fixing it up, which is no surprise with as many repairs as they required. Selling a car with a dead engine is always a good option though. Nearly four decades later, people keep their cars for a much longer time. Instead of an average vehicle replacement interval of four years or so, it’s common to keep a vehicle for seven or eight years. Why Do People Keep Cars Longer? Those common car problems people experienced years ago – the ones that required days in the shop for a rebuild or repair – just don’t happen as often anymore. It seems that carmakers have figured out how to improve the manufacturing process to make parts that last longer. As a result, vehicles themselves are on the road longer. You’ll notice it throughout a vehicle. The body panels are made of higher-quality steel and aluminum so they don’t rust out as early in a car’s lifecycle. Plastic components don’t fade as much and are less susceptible to the sun’s UV damage. Bearings and seals last longer, internal engine parts have tighter tolerances, and even a car’s upholstery holds up to wear better. Where a car or truck would be sold to the scrap yard heap on average at 12 years previously, it’s no stretch to make many modern vehicles last 20 years. But let’s get one thing straight: not every car will last to its 20th birthday. You’ll have many that aren’t properly maintained and have major problems that see them sent to the junkyard. Some aren’t built to the same high standards and won’t reach anywhere close to 20 years in service. And about 15 to 20 percent will end up in the scrapyard in the sky because of an accident or natural disaster. Your average, run-of-the-mill gas-powered vehicle, when it’s properly maintained, has the potential to reach the ripe old age of 20. But what about other types of cars? How Long Do Hybrid Cars Last? Around the turn of the millennium, hybrid cars became a popular alternative to strictly gas-powered cars. They are more efficient, but do hybrid cars last as long as regular cars? They do! In fact, hybrid cars seem to last longer than the average vehicle today. 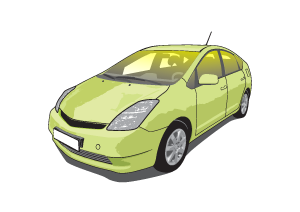 What commonly sends a hybrid car to the junkyard is an accident. Hybrid powertrains have so far proven to be extremely reliable. Well, then, what about electric cars? If hybrid cars last longer, it would make sense that electric cars will too. The setback here is that electric cars haven’t been around all that long yet. It’s tough to tell if the all-electric powertrain is going to hold up for more than two decades…but all indications are that they will. It might depend on if the extremely-expensive battery packs can be serviced to last. How Long Do Diesel Engines Last in Cars? Another more traditional option is a car powered by a diesel engine. Everyone has heard stories about a diesel-powered Volkswagen or pickup truck that’s rolled the odometer over. It’s true that they require less maintenance, but does that mean they last longer? It IS true. If you purchase a car, truck, or SUV with a diesel engine, you can often expect it to exceed 200,000 miles with ease. There are plenty of diesel vehicles that have reached 500,000 miles or even more than a million! The funny thing is that the rest of the car falls apart around the engine and is destined for the junkpile because of rust, in which case selling your truck is the way to go. Wondering which cars are known to last a long time? Here are five models that have demonstrated the ability to stand the test of time. One of the best-selling cars in the world, the Toyota Camry is known as one of the most dependable and longest-lasting. Both the V6 and four-cylinder versions throughout the years have been fantastic for low cost of ownership and high resale value. Most pickup trucks and SUVs are expensive to repair and are prone to break down but the Chevrolet Silverado is one of the better ones. There are many Chevy pickups still on the road after more than two decades. Fuel efficient and compact, the Honda Civic is often thought to last longer than most vehicles because it’s rather basic. There’s less to go wrong! We like to think it’s related to a higher quality of manufacturing instead. Whether it’s the Golf, the Jetta, or any other diesel-powered VW, you can expect a long and happy life with it. It’s incredibly long-lasting because of the low maintenance and repair costs associated with its four-cylinder diesel engine. The world’s most popular hybrid car is also one of the longest lasting models. It might be the high-quality Toyota nameplate, an electrified model that puts less strain on the gas engine, or something altogether different, but the Toyota Prius is known to rack up hundreds of thousands of miles without any major repairs. When your car lasts a long time, at some point it will be old and have problems starting. In this case it's time to sell your old car and replace it with another long lasting vehicle you can cherish for many years to come. To get the last benefit of your old car you can sell it quickly online. Click the button below to get an offer for your car instantly and have cash value in hand within 24-48 hours!